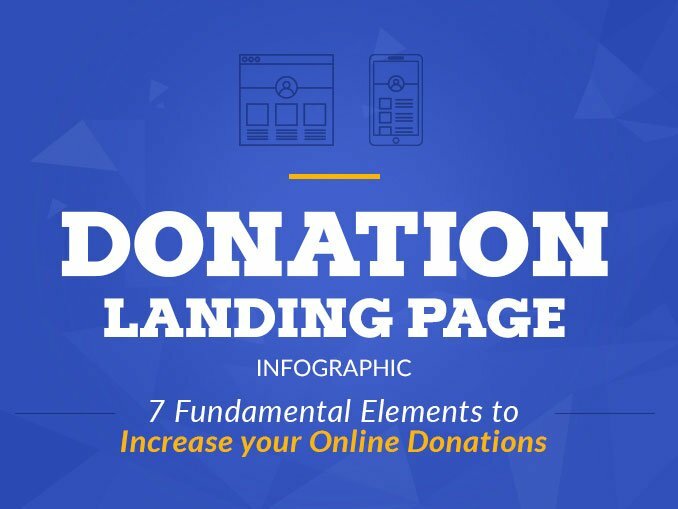 So we’ve talked homepages and donation experiences but it’s time to come to the end of our “anatomy of” series. 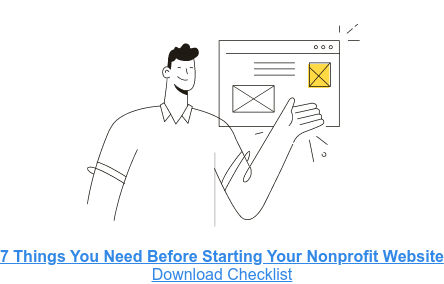 We have had a ton of fun breaking down what goes into the creation of successful nonprofit web pages. But don’t fret, because today we are breaking down a couple different interior pages (and elements) ,with examples of course. We will cover impact, about us, bio, challenge and a bonus section on a rad video. Stay with us because we are almost through anatomy. 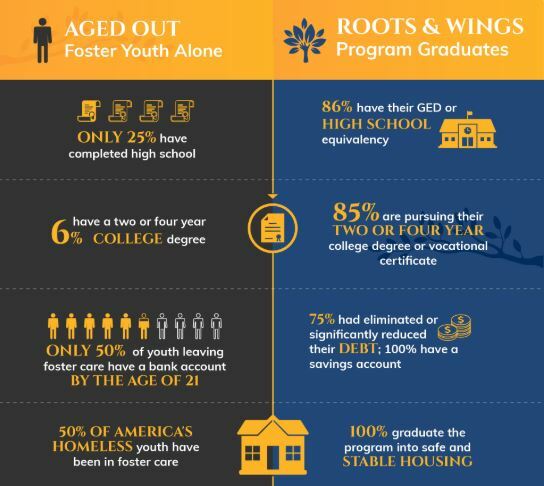 If you have followed us at all you know that we just love Roots & Wings, an organization that aids those aging out of the foster system in New Jersey. Not only do they do awesome work, they have an awesome site and their impact page is no exception. They have nailed impact with a side-by-side comparison of individuals who are not involved in their programs and those that are. You can quite literally see the impact that Roots & Wings has on the community and they’ve done it in a way that is easy to peruse. They have used numbers making it easily readable and tangible for their website visitor. They have also included a ton of well branded (ahem) icons that make it playful and, again, easily digestible. 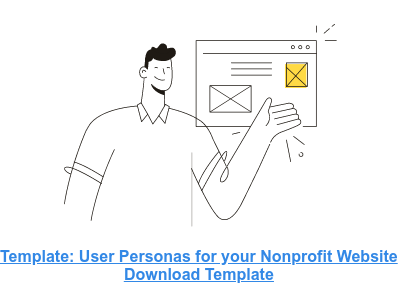 When embarking on your own impact page, consider taking a leaf (haha get it?) out of Roots & Wings playbook by going with an infographic style page design. Really well done. Next, let’s talk “about us”. This page is essential because it tells everyone who your organization is and the story of how you all came to be. We love how House of Ruth, an incredible organization in D.C. that provides services to low-income women and children, is doing it. 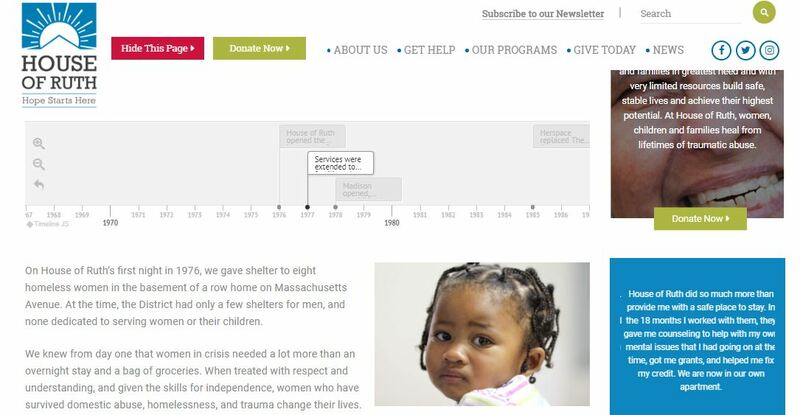 They have used a timeline widget so that the user is able to follow House of Ruth on their journey, and it’s interactive and educational at the same time. About us pages tend to be extremely text heavy, so any way that you can break that up is awesome. You will also notice that they have great (relevant) images included that help tell their story through time. Consider interactive widgets when creating your new site as well! 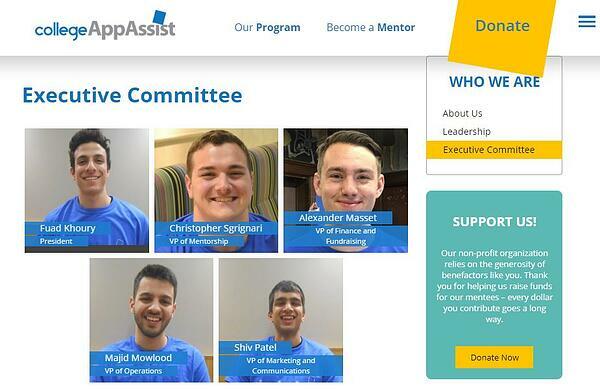 Just look at the awesome team at collegeAppAssist! I seriously wish they were around when I was applying to college, it would have made things so much easier! This team of young civic-minded folks are looking to help individuals throughout the college application process. 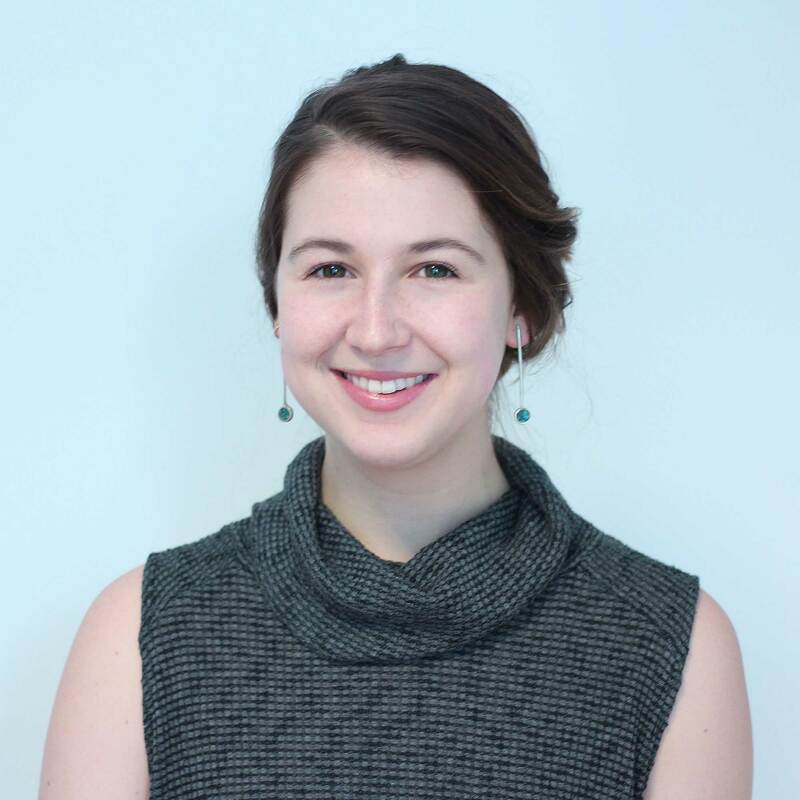 Their staff bios page legitimizes their organization (I mean they are right there) and provides additional information about the people that work there. We like that although the photos are all different, they are relaxed, which is a part of the vibe of the org. In addition, if you click on the image you are taken to a bit more info about each staff member. Yay for the youngins! If you’ve joined use for any of our recent webinars, you will have heard us discuss “the challenge page”. This page is beyond essential because it makes the argument for why your organization exists. 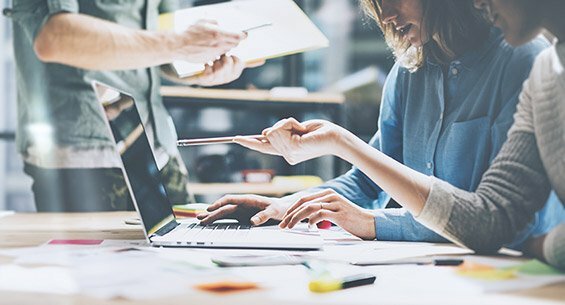 If there were is no problem to address, your organization wouldn’t be around. We are back with Roots & Wings for this one because they just nail it yet again. Their carefully crafted written content literally “begs the question” making it engaging. In the first paragraph they include a series of statistics which eloquently state the problem. 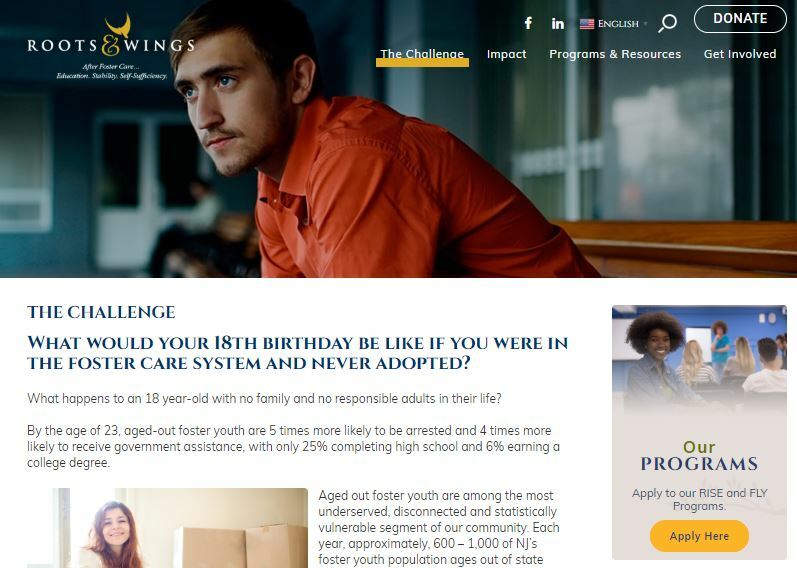 They use both relevant imagery and text to craft the challenge and what they are managing to overcome with their programs. As promised, we have a little something extra, a video from Pedal Revolution, a nonprofit bikeshop in San Francisco. We want to make the case for investing. These about us/impact videos told through the eyes of individuals impacted by your program are some of your most useful donation driving tools. Invest in a professional video because it is seriously worth the money. Watch above, it’s pretty darn great. We have loved talking site anatomy with you all! If you have liked this series please let us know in the comments below or share our articles on social media. If you have any additional (unrelated or related) comments or questions feel free to comment or reach out to us here at Elevation!